This is one of our favorite as well as popular scents in our shop. 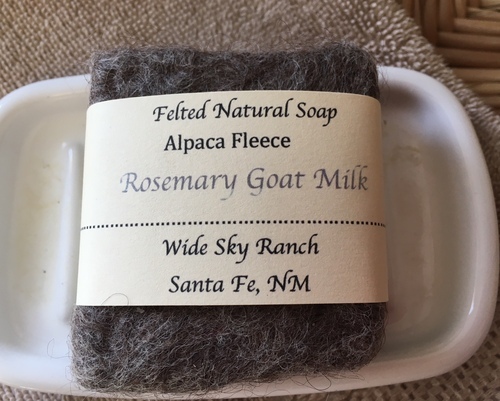 We provide the "soft as can be" alpaca fleece which we hand felt onto the soap. 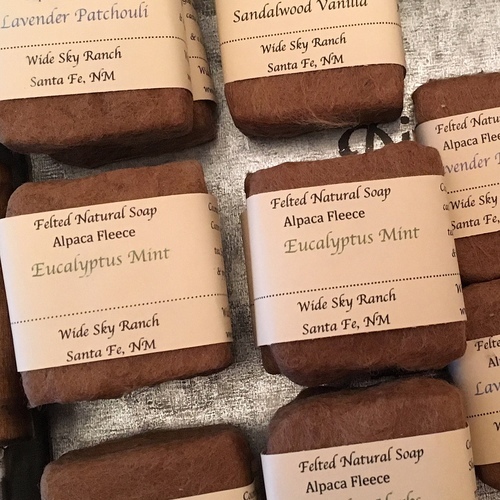 For full product description, please see our "Alpaca Felted Large Handmade Soaps" in our Etsy Shop. Here are the comments from the soap maker. "This soap is nourishing & luxurious. Rosemary essential oil not only gives you a refreshing aroma, but it is also antimicrobial & a natural antiseptic. Goat milk makes this soap extra special ! It contains alpha-hydroxy acids which work to remove dead skin cells from your skin's surface, revealing new skin cells that are smoother and younger looking while also moisturizing." To use, simply remove the paper wrapper which lists the ingredients, moisten the soap and rub on skin. Instant, loads of bubbles. 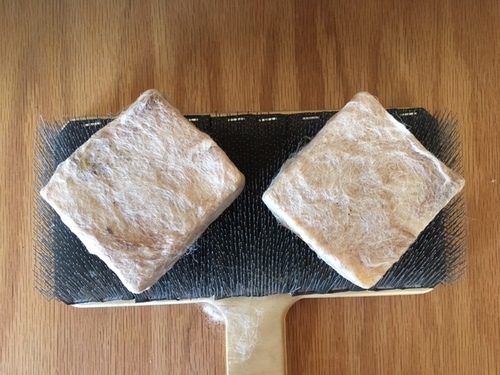 As the soap is used, it will continue to felt and will shrink as the soap naturally does. Please see our Etsy shop to order. We will pick the color of felted fleece unless you tell otherwise. The color could range from brown, grey or white.